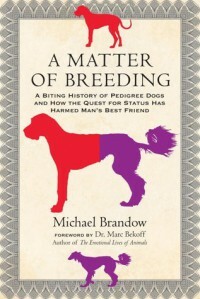 This book made me so sad for the ""purebred"" dogs. They are suffering for our vanity. Pugs can't breathe correctly, Labs have early arthritis and more! The breeding ""standards"" are devastating to the dogs. I agree with the author that changes need to be made. If you are a dog lover with an open mind, read this book!